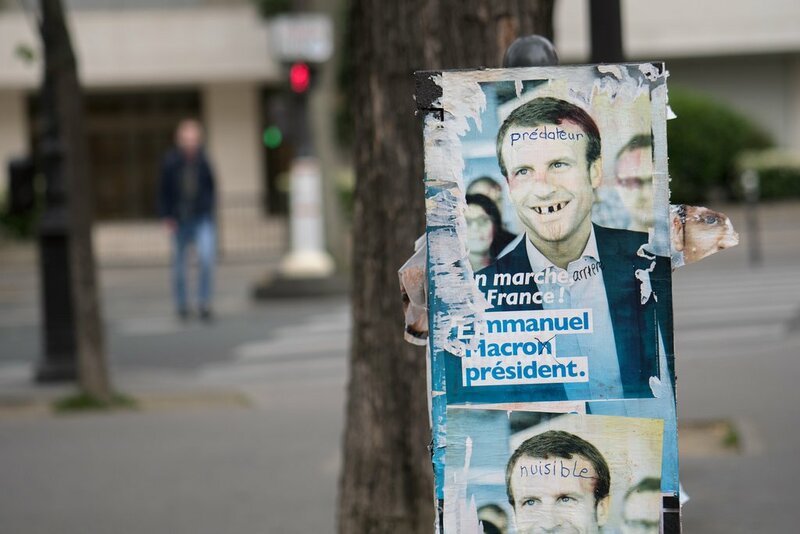 French voters go to polls in the second round of parliamentary elections on June 18, in a run-off between the top candidates from June 11 first round. President Emmanuel Macron, 39, is seeking to obtain a strong mandate in parliament to help him pursue his reform plans. His La République en Marche (Republic on the Move or LREM) with its MoDem allies is expected to win most seats. Traditional parties are urging voters to back Emmanuel Macron’s rivals to stop a monopolization of power. Emmanuel Macron formed his party just over a year ago, and half of its candidates have little or no political experience. They include a retired bullfighter, a Rwandan refugee and a mathematician. A party needs 289 seats to control the 577-seat National Assembly. LREM is predicted to win more than 400. In the first round, Emmanuel Macron’s LREM and MoDem won 32.3% of the vote. The center-right Republicans had 21.5%, while Marine Le Pen’s National Front (FN) had 13.2%, followed by the far-left La France Insoumise (France Unbowed) on just over 11%. The Socialists, previously France’s ruling party, and their allies won just 9.5%. However, the turnout was low, despite claims that President Emmanuel Macron had re-energized the voting public. Analysts said it reflected a sense of resignation among his opponents. Only four seats were settled in the first round. The second round will see the two top-placed contenders for each seat facing each other, along with any other candidate who won the support of at least 12.5% of registered voters in the district. Emmanuel Macron defeated Marine Le Pen in the presidential run-off in May. The president needs a majority to push through the changes that he promised in his campaign, which include budget savings of €60 billion ($65 billion) in the next five years, cutting the number of public servants by 120,000, reforming the labor market and generous state pension schemes, bringing them into line with private schemes.